Packaging Dimension (WxLxH) 20x16x8 cm. 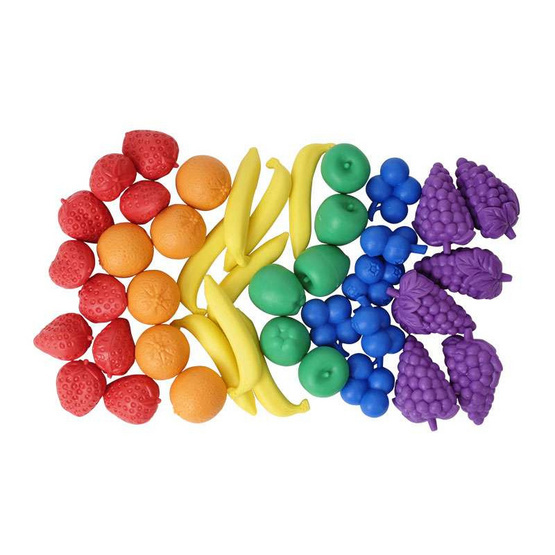 6 different fruits and 6 colors - apple, banana, orange, blueberry, grape and strawberry. Six colors are red, orange, yellow. green, blu and purple. 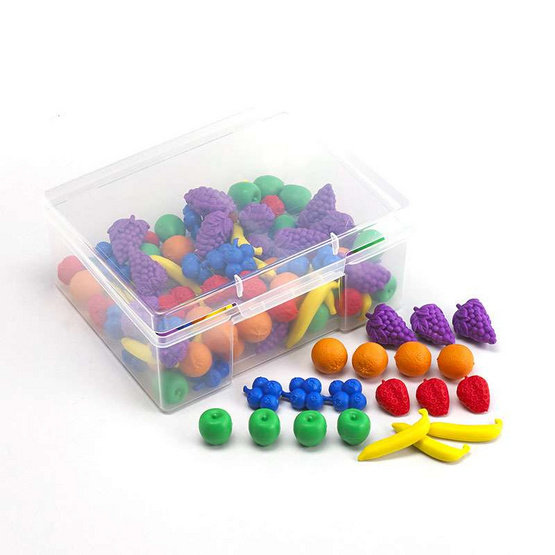 Set of 108pcs in sturdy plastic container.